Home / Engineering / Geology / Mystery / Physics / How long would it take fall through Earth? How long would it take fall through Earth? First, let us ignore friction, the rotation of the earth, and other complications, and focus on the case of a hole or tunnel entering the earth at one point, going straight through its center, and coming back to the surface at the opposite side of the planet. If we treat the mass distribution in the earth as uniform, one would fall into the tunnel and then come back up to the surface on the other side in a manner much like the motion of a pendulum swinging down and up again. 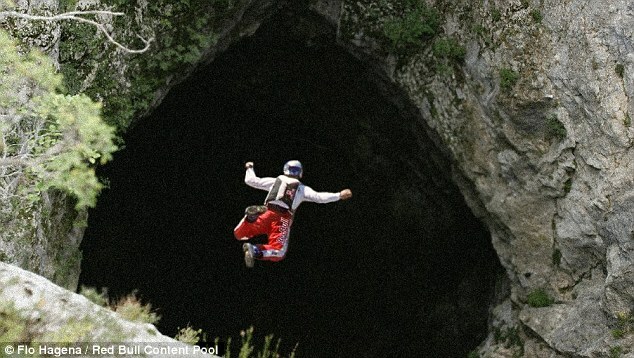 Assuming that the journey began with zero initial speed (simply dropping into the hole), your speed would increase and reach a maximum at the center of the earth, and then decrease until you reached the surface, at which point the speed would again be zero. The gravitational force exerted on the traveler would be proportional to his distance from the center of the earth: it's at a maximum at the surface and zero at the center. The total time required for this trip would be about 42 minutes. The speed of our traveler at the center of the Earth would be 7,900 meters a second. If there were no friction, there would be no energy loss so our traveler could oscillate into and out of the tunnel. This trip could not take place in the real world for a number of reasons, including the implausibility of building a tunnel 12,756 kilometers long, displacing all of the material in the tunnel's proposed path, and having the tunnel go through both the earth's molten outer core and its inner core, where the temperature is about 6,000 degrees! It would be much easier to build such a tunnel in a small asteroid. 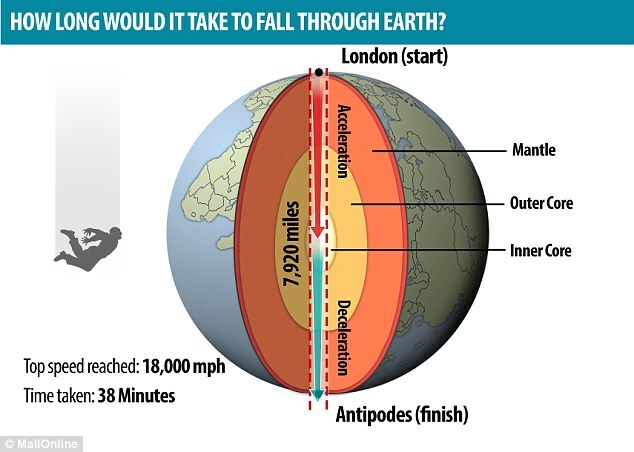 Interestingly enough, for a tunnel that reaches from one point to another point on the earth's surface but does not pass through the center of the planet, the travel time would still be about 42 minutes. The reason for this is that although the tunnel is shorter, the gravitational force along its path is also decreased as compared to that of a tunnel that goes through the center of the planet, which means you would travel more slowly. Because the distance and the component of gravity decrease by the same factor, the travel time ends up being the same.